You can manage all types of books with Booknizer, including e-books, audio books and paper books. While paper books are added mostly by title and by barcode, e-books and audio books can be added using existing files. Basic information about such books is loaded from the files. But what if you move your book files to a different location? The corresponding links in Booknizer will become broken, so you will not be able to read or play the books anymore. 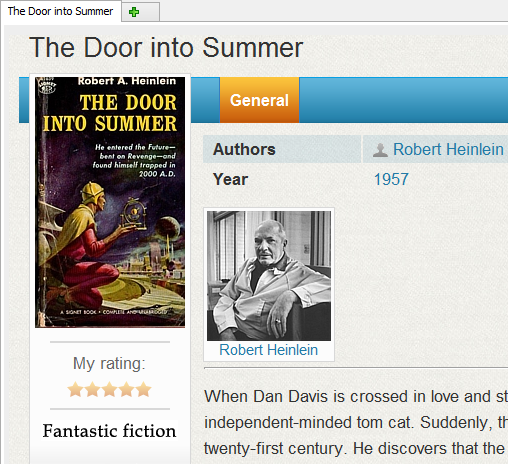 We have already discussed how to update paths to e-books with the Path Changer plugin. In this article, we will update paths to audio books. A different Path Changer plugin is required for audio books. You can download it from this topic of our forum. Unzip the downloaded file into the Plugins folder of Booknizer. For 32-bit systems, the typical path would be C:\Program Files\Booknizer\Plugins. For 64-bit systems, it's C:\Program Files (x86)\Booknizer\Plugins. This opens the plugin's window with all audio book files from your current database. In our example, we moved our books from the E:\Books\Audio\ folder into G:\Audiobooks\. Let's update the paths. First of all, select all files that you moved. If you moved all files from the source folder into the destination folder, just click the green checkmark button above the list. Otherwise you can use the filter on the right to select files by entering a unique sequence from their filenames. Now enter the part of your old path that changed into the "Find in filenames" field (upper left corner of the window). Our audio books were previous stored in the E:\Books\Audio\ folder, so we have entered this into the field. Just below, enter the new part of the path. In our example, it's G:\Audiobooks\. Click the "Preview" button to check how your future filenames will look like. The preview will be displayed in the third column of the list, "Filename will be changed to:". If everything is correct, click "Apply" to update the paths in your database. Additionally the Path Changer plugin for audio books can update disc labels, if the corresponding option is enabled. You may want to disable this option for network drives. After applying changes and closing the plugin window, you can enjoy listening to your audio books from Booknizer again.